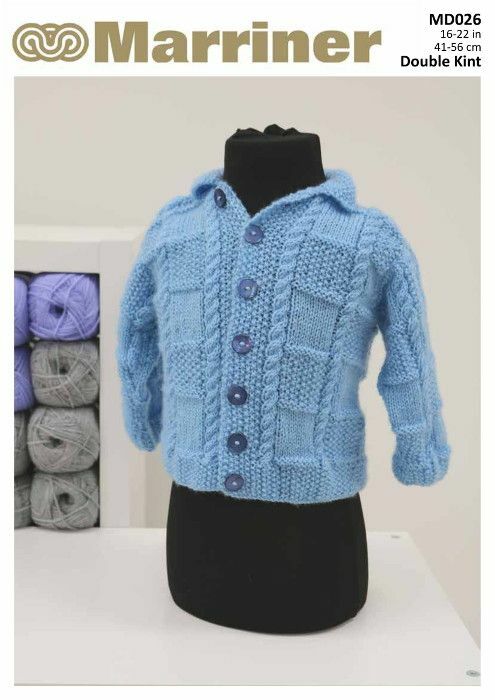 The beautifully cabled baby cardigan will be soft and snuggly, and features an alternating square pattern. Hooks required 1 pair size 3¼mm (UK10-USA3), 1 pair size 3¾mm (UK9-USA5) and 1 pair size 4mm (UK8-USA6) Marriner knitting needles or the size of needles to give correct tension. Stitch holders. Cable needle. 6 [6 : 7 : 7] buttons.